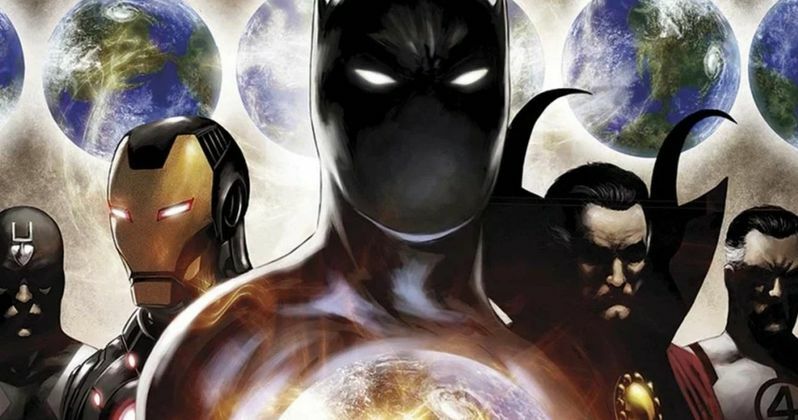 The Marvel Cinematic Universe as we know it is going to end following Avengers 4 next year and, as of right now, not a whole lot has been revealed about Marvel Studios' plans for the future. We know for sure that Marvel will continue making movies that exist within the same universe, but what's that going to look like in a post-Infinity War world? According to director Joe Russo, it's going to look "massively different." Joe Russo, who co-directs Avengers: Infinity War with his brother Anthony Russo, has been making the press rounds for the highly-anticipated movie. During a recent interview the directors were asked about the MCU moving forward. Specifically, how different Marvel Phase 4 will be once Avengers 4 concludes Phase 3 next year. Here's what Joe Russo had to say about it. "I think massively different. I think that this is if Marvel has been writing a book for ten years, it's the end of the book and someone is going to write a new book. Who knows what that new book will be but this is an ending and that'll be a new beginning." We know that Infinity War is going to rock the MCU to its core and that will lead us to Avengers 4, which will surely help shape the future. Major characters we've come to know and love are going to die and, from what we've been hearing, these deaths will be permanent. But it sounds like Phase 4 is going to be more than just a universe without some major characters. It's going to be something we may not even be able to fathom right now. Infinity War screenwriter Stephen McFeely has promised that this is the "culmination" of the MCU, with Thanos finally coming properly into the fold and, via the Infinity Gauntlet, could help reshape this universe. "This is about the culmination of the Marvel Cinematic Universe. This is about everyone getting together, or trying their hardest to get together, to fight a guy named Thanos. We've been teasing Thanos for many movies in 30-second clips, so hopefully all the lead up will allow us to really go to town with him and make him a villain that requires this epic level of storytelling That is the word I would use most often. It's ridiculously big." Marvel Studios President Kevin Feige has previously said that Phase 3 will end the MCU as we know it. As far as Phase 4 goes, Marvel hasn't revealed much in the way of specific movies coming our way. The Spider-Man: Homecoming sequel and Guardians of the Galaxy Vol. 3 are the only two confirmed movies coming our way after Avengers 4. Beyond that, there are movies like Black Panther 2 and Doctor Strange 2 that seem like relatively sure bets, but it's tough to be certain of anything really at this point. Whatever the case may be, just expect things to be radically different than what we know now. This news comes to us courtesy of Yahoo Movies.